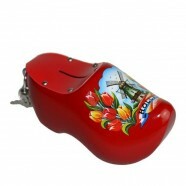 Wearable pair of Dutch Varnished Wooden Shoes decorated with Holland, Windmills and Tulips. For Wooden Shoe size conversion see instructions ﻿below. 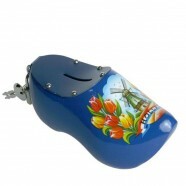 Wearable pair of Dutch Varnished ﻿Wooden Shoes decorated with Holland, Windmills and Tulips. 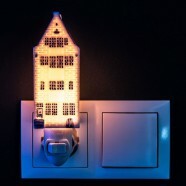 What is the right wooden shoe size? 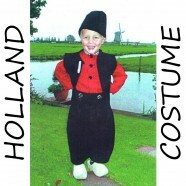 The best way to determine your wooden shoe size is to try on the wooden shoe with a thick pair of socks. 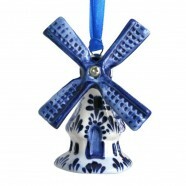 If your index finger fits between your heel and the wooden shoe, you have the right wooden shoe size. 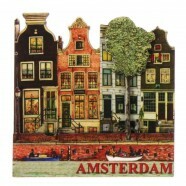 To meet the safety requirements of the European Union, wooden shoes are subjected to safety shoe tests. Various tests indicate that wooden shoes are just as good or even better than a steel toe work shoe, and can for example withstand almost any penetration including sharp objects﻿﻿. 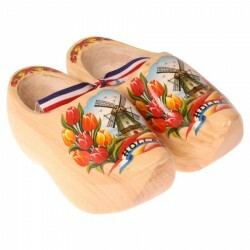 Therefore our Wooden Shoes are approved as safety shoes and all come with a certificate of authenticity and CE Mark.